The Urban DeveloperMonday 11 June 2018 [hr] Queensland’s tallest residential tower, the $1.2 billion “Spirit”, will rise almost 300 metres above the Gold Coast and inject $1.84 billion into its economy. Chinese-backed developer Forise Holdings said the 89-storey residential apartment tower, offering 479 residential dwellings, will create a new landmark for the city. The project of mass proportions will include an unprecedented 2700sq m of residential facilities, a 1800sq m four-bedroom penthouse said to cost $38.8 million, rooftop facilities and include three levels of ground floor retail. About $44 million will be put toward underground works alone, with the development estimated to provide 945 jobs a year during the initial construction phase in what is considered one of the nation’s most complex projects. Forise marketing manager Jason Xiao said the development “is all systems go”. 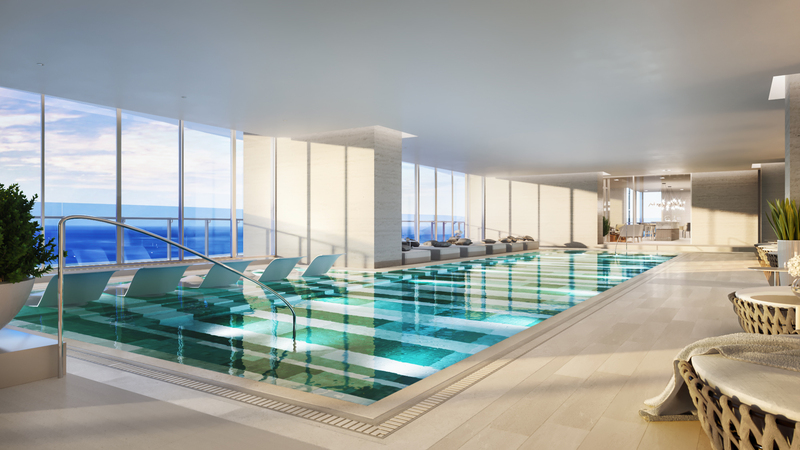 “We have completed a major civils program to establish the foundations of Spirit and we are looking forward to delivering an iconic, globally recognised apartment tower of distinction to Australia’s premiere beachfront address,” Xiao said. 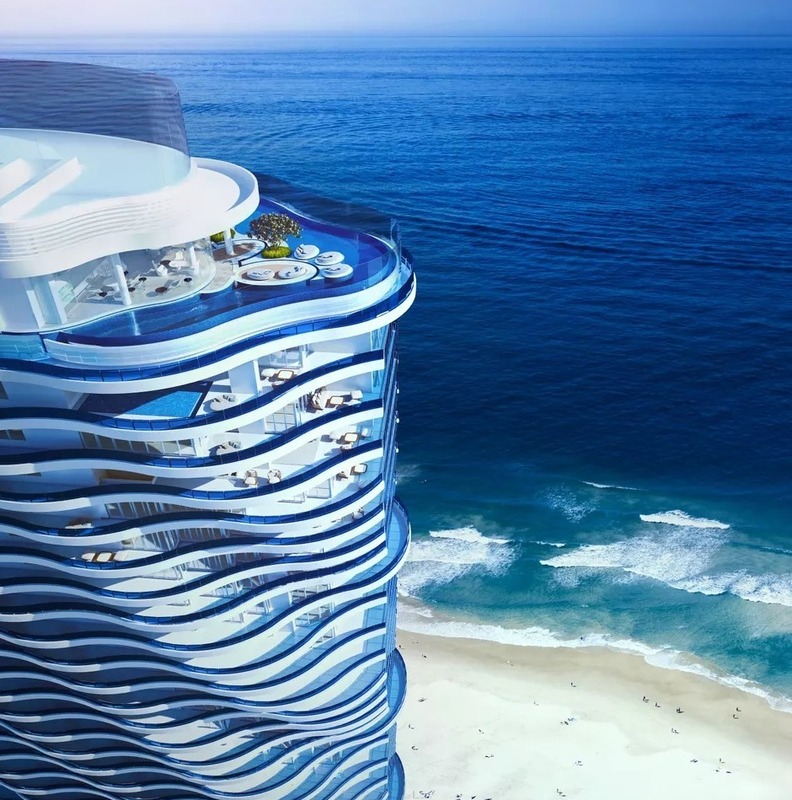 Ultra-luxury projects are all the rage on the Gold Coast, with Yuhu Group’s $1.1 billion beachfront “Jewel” towers and plans for an “ultra-high-end” Broadbeach tower, with 46 whole-floor apartments, lodged to council last month. The scale and value of the Forise development is significant in comparable terms to existing and proposed developments, according to research arranged by the developer. In a detailed assessment of the project, MacroPlan Dimasi estimates the combined economic benefit to the region will be $1.84 billion over the next six years, with ongoing benefits such as tourism expenditure, dining, retail shopping, tours and activities. “Visitors onsite will typically be wealthy and generate a much higher than average daily expenditure profile,” the report said. The project, which targets international, local and interstate investors and downsizers, is being marketed by Ray White Surfers Paradise Group’s Julian Sutherland.“Projects such as these profoundly demonstrate that the Gold Coast has arrived as a world leading tourism and lifestyle destination in the midst of some $30 billion in public and private development,” he said. The rooftop level will offer access to panoramic views of the 52 kilometres of coastline, with butlers available to individual apartments upon request. Forise anticipates the project’s launch to market next month. MacroPlan were commissioned to provide an Economic Benefit and Project Positioning Assessment required for the proposed residential and mixed use development. The assessment quantified the various economic and market values/benefits that attributed to the project throughout the development cycle through to completion. The report was used to promote the project and highlight project benefits to be used for promotion and media content. For more information about the project or to discuss the current property opportunities on the Gold Coast, please contact Daniel Parker - General Manager Gold Coast.